Former White House Senior Advisor Valerie Jarrett endorsed Toni Preckwinkle. Her opponent, Lori Lightfoot, could become the first openly Black LBGQT person to head a major American city. Businessperson Willie Wilson got only 11 percent of the primary vote to become the next mayor of Chicago, but he won 13 wards on the city’s majority Black South and West sides. In stark contrast, neither of the two leaders in the primary, former federal prosecutor Lori Lightfoot or Cook County Board President Toni Preckwinkle, won any of the majority Black wards. 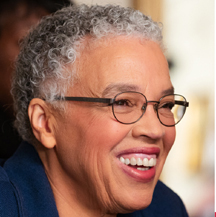 Lightfoot and Preckwinkle face off Tuesday, April 2 to become the city’s next mayor. This makes Wilson’s backing significant. Lightfoot won his endorsement. While both candidates are racking up endorsements, Lightfoot has more endorsements from Chicago’s clergy in the Black community reports the Chicago/Gary Crusader newspaper. The openly gay candidate has been endorsed by Bishop Larry Trotter, Reverend Ira Acree, and Father Michael Pfleger. Former White House Senior Advisor Valerie Jarrett endorsed Preckwinkle. After African-French and Haitian born Jean Baptiste Point du Sable became the first permanent non-Indigenous settler of what was to become Chicago, the nation’s third largest city has created a history of creating national Black political firsts via Oscar Stanton DePriest, Carol Moseley Braun, and Barack Hussein Obama. De Priest served as a U.S. Representative from Illinois' 1st congressional district from 1929 to 1935. The Alabama native was the first African American to be elected to Congress from outside the southern states, the first in the 20th century, the first since the Reconstruction I Era, and the first since the exit of North Carolina representative George Henry White from Congress in 1901. During his three terms, he was the only African American serving in Congress. Moseley Braun represented Illinois in the United States Senate from 1993 to 1999. The Chicago native was the first female African-American Senator, the first African-American U.S. Senator for the Democratic Party, and the first woman to defeat an incumbent U.S. Senator in an election. And of course, the city with broad shoulders gave America Obama, who served as a U.S. senator from Illinois from 2005 to 2008, before becoming the United States’ first Black and Kenyan-American president. If Lightfoot wins, it will be the first time Blacks will hold both top administrative positions, city mayor and county board of supervisors (Chicago is in Cook County). Statewide, Blacks make up half of the state’s elected executive branch officials. The lieutenant governor is Black, Juliana Stratton, as is the attorney general, Kwame Raoul, and secretary of state, Jesse White. Illinois is only 15 percent Black. The Chicago/Gary Crusader also reports that the day after flyers featuring a picture of Lightfoot and her wife were distributed outside an African American church, Preckwinkle condemned the messages as Lightfoot picked up a collection of endorsements heading into the April 2 vote and seeking to create another national first birthed on the southwestern shores of Lake Michigan.